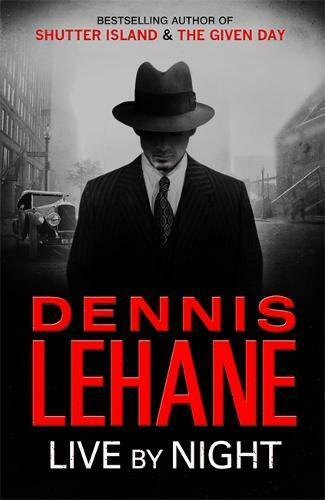 Denis Lehane has been producing quality crime fiction for many years now. He won me over with the hard-bitten Boston of Mystic River, surprised me with the underrated psychological torment of Shutter Island, and now he has cemented the deal with Live By Night, a seamless arch-noir that chronicles Irish Joe Coughlin’s rise through the gangster world from Boston through to Florida, Cuba and back. Live by Night opens with a leap into Joe’s future, on a tugboat in the Gulf of Mexico with his feet set in a tub of cement. It brings to mind a similar scene in E.L. Doctorow’s masterful Billy Bathgate, a likeness not unfitting or gratuitous but evidence of the fact that there is more than one way to tell the same story. Lehane does not have Doctorow’s lyrical flair, but Doctorow never turned the pages so fast. From this portentous opening on the water, we move back to Boston to find Joe in trouble early and often. He falls in love with Emma Gould during a robbery of Albert White’s place – two mistakes that drive a plot that I don’t wish to give away except in the broadest of brush-strokes. Following a stint in prison Joe relocates to Florida where his intelligence and personality see him grow into a first-rate crime boss. Joe’s story continues on from Lehane’s last novel The Given Day, which featured the Coughlins prominently. Live by Night is set later, in the mid-1920s, at the height of prohibition, and derives its power not from the epic sweep of its predecessor but from the cool, pragmatic and ultimately loving character of Joe Coughlin. There is violence in Joe and all around him, but he is deeply seductive as a thug imbued with a conscience and sense of morality. For me, this is as crime fiction should be. Hewn from the real then polished to its essence: the good and evil in our natures’ and the path we weave between the two. I cannot think of a book I enjoyed more this year, and now have the pleasure of waiting for more from Dennis Lehane, a writer in total command of his craft who gets better and better with each offering. Robbie Egan is the Manager at Readings Carlton.